Really, we’re not. Politicians who say we are, employers groups who screech we are, there WRONG. And they know they are. There’s a word for people who consistently say things they know to be untrue. Brian, does this take into account the added charges, outsourced services etc that the Irish systems has – so, for example, bin collection is still undertaken in most European countries by the councils, but not in Ireland? I’m not well enough up on all the levys that are applied these days, but are they accounted for aswell, and if not, what would that mean for the percentage quoted above? 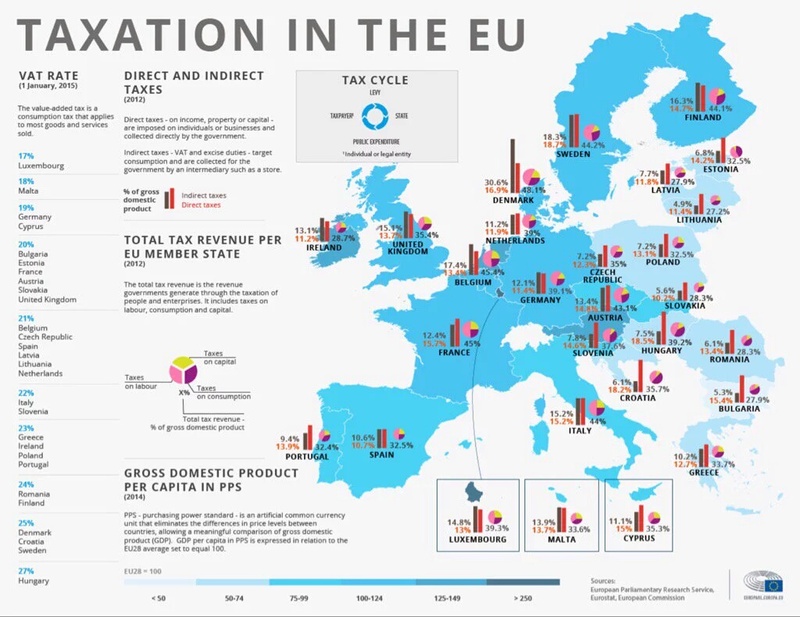 Average Irish workers only pay 11.2% tax. Renua are trying trying to DOUBLE the tax take. You need to vote for Renua Brian. USC, water charges, property tax, crippling the working class. Ierland is only a low tax haven for the multinationals. Reblogged this on the broken academic. It would be more interesting to see this chart using GNP instead.